Did you know that any person who is not an Australian citizen and wants to travel or stay in Australia requires a visa? 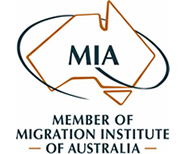 There are many different visas that will allow you entry into Australia. Each visa has a unique set of criteria which must be met, before it can be granted. 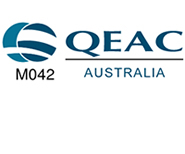 Australia’s visa eligibility requirements change regularly, often at short notice. That’s why it is recommended to engage the services of a professional, Registered Migration Agent. We stay up to date with the latest visa requirements and provide professional advice and assistance in preparing and lodging your visa application. 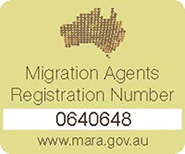 For the latest information on current visa and citizenship processing times, please visit the Australian Government, Department of Immigration and Border Protection website. 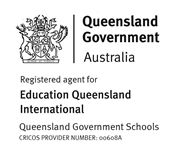 Contact us for a free enquiry on +61 7 5641 4342. Coral Coast Migration Service is pleased to provide a brief outline of some of the most common visa categories. Follow below links for more information. Hi Nick, Thank you very much for all of the effort you have put into this. This was emotionally charged from our end and you helped take that out. We were expecting this to take at least 12 months but thanks to you this has happened in 4-5 months. Feel free to put me forward as a reference to any prospective clients that come your way. I will be spreading the word around too. Hi Nick I, appreciate your service and taking care of my application. I did receive the visa grant! I was happy and I took me time to grasp the new status. It’s awesome to know that I can stay in Au. Dear Nick, A. and I would like to thank you for all the work and effort that you had put into our application. We are beyond happy and no words could ever express how grateful we are. We can now finally be together. Thank you once again and God bless you. Just to inform you T and J got their citizenship application approved; they got the letters through the mail today. Thank you very much for all the advice and help you have given us. We are both extremely greatful. I would most certainly recommend your services to anyone who needs them.